We sustained some damage from the recent hurricane. However, HURRICANE MICHAEL DID NOT CAUSE US TO LOSE A SINGLE SLAB OF GRANITE! We have resumed installations at this time. Our office is not fully staffed. Our employees have lost homes, personal items, vehicles, and much more. We are answering inquiries and giving updates to customers as we are able. Thank you for your patience. Our hearts go out to all those affected by the storm. We are a locally-owned and operated countertop fabrication business. We've been around for over 15 years, and customer satisfaction is our main goal! 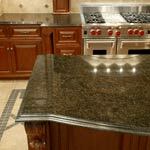 We template, fabricate, and install countertops using granite, quartz, and other engineered or recycled stone material. 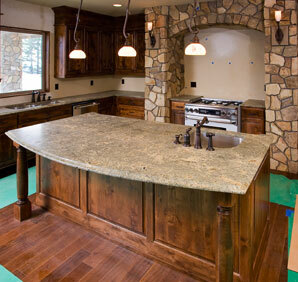 Kitchen and bathroom countertops are our specialty, but we can create just about anything you wish!